History: The House That Ivy Built: Book 3 was written when I was in college. By this point I had concluded that I had no desire to stop writing the Ivy stories, and parts of this book (especially toward the end) are pretty well-written, even by my current standards. I consider this book the turning point for when I realized some important things about writing as well as about my writing STYLE; I tried to do some outlines to help me with plot on this book, and the process failed miserably because it made me resist things I "discovered" along the way, which ultimately required a lot of rewriting and inserting in the latter half in order to connect all the dots. 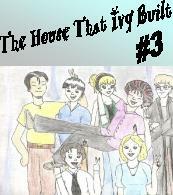 About THTIB 3: The third book in my series continues the life of my main character Ivy. In this book, she practices learning to sing and becomes friends with a girl named Ami. She spends a lot of time doing odd jobs to make money, for various reasons. Ivy learns a lot from some of her jobs. A major theme of this book is Ivy's relationship with Zeke—he is still trying to date her. Eventually he takes her to a Christmas party, and the result is disastrous. 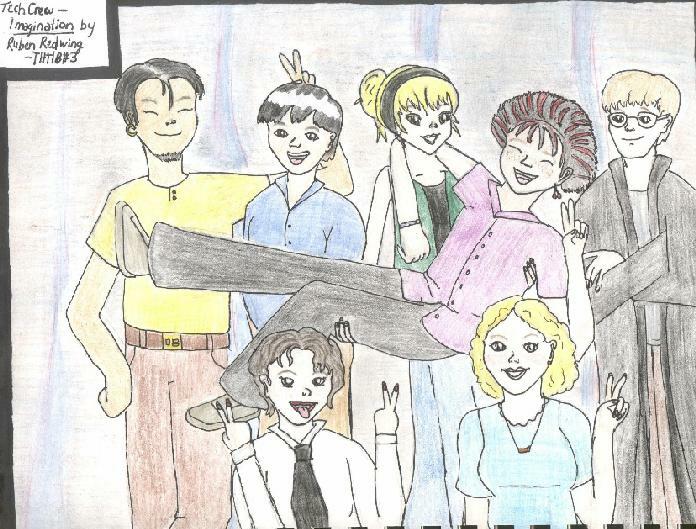 Ivy begins to have fears about her future and ends up going off on her own, meeting a guy named Ruben, and working on "special effects" in his play. This book is roughly six hundred and fifty pages in its entirety. Excerpt 1 is a scene featuring Zeke and Ivy on a picnic. Zeke charms Ivy with all her favorite foods and then tries to interest her in romance, which is difficult since Ivy is in no way interested. Excerpt 2 involves Ivy and Ruben and their trip to the fair. They discuss many important things while Ivy exposes Ruben to the sky. Excerpt 3 has Ivy at her first baby-sitting job.